We provide a curriculum based on the Early Years Foundation Stage (EYFS). The EYFS, centres around the fact that for a child to fulfil their full potential, they need to feel safe, secure and happy, and that within this framework they can achieve the foundations necessary to make the most of their individual talents and abilities as they grow. The framework maps the child's development from birth to five. This therefore covers their development during their time with us, and into their reception year at Main Stream School. The revised EYFS has seven areas of learning, which all interlink, three of which are Prime areas, the remaining four specific. Each key person uses these areas of learning to identify the individual child's stage of development and plan enjoyable activities to encourage their progression. Children are encouraged to extend their vocabulary and influences by talking and listening, and by hearing and responding to stories, songs and rhymes. The role-play area is key in supporting developing communication skills, and children are regularly offered time in small group activities, to give them the opportunity to develop these skills, gaining confidence and taking turns. At Clever Clogs we also use symbols, visual prompts and the children have the opportunity to try out Makaton signs, to further support their speech and aid understanding , these are invaluable to children with English as an additional language. Children are given the opportunities to use equipment both indoors and outdoors to develop control over the large movements they make with their legs, arms and bodies to enable them to run, jump, hop, balance and so on. Adult supervision enables them to develop confidence and skill safely, ultimately enabling them to assess risks for themselves in this area of development. Children are also supported in the development of fine motor skills, the movement of arms, hands and fingers, enabling them to use tools, small objects and materials. Children are also encouraged in body awareness, understanding the importance of their body and how to safeguard it. Within a nurturing environment children are free to express their feelings and ideas. They are encouraged to feel valued, which in turn heightens their sense of self esteem, giving them self respect, a feeling of belonging and confidence; a strong base to build relationships, take responsibility for themselves, and respect others and their property. They are encouraged to work and concentrate independently and also take part in a group, sharing and co-operating with children and adults. Through activities, conversations and practical example they learn acceptable ways to express their own feelings and to have respect for the feelings of others. The children are encouraged, as appropriate , to gain a sense of independence concerning their own personal hygiene and care. Children are encouraged to embrace differences between gender, ethnicity, language, religion, culture and special education needs. Children are helped to understand the written symbols carry meaning, to be aware of the purposes of writing and when they are ready to, use drawn and written symbols for themselves. A well stocked book corner gives every child the opportunity and encouragement to become familiar with books, able to handle them and be aware of their uses, both for reference and as a source of stories and pictures. Each child has the opportunity to select a book to take home and share with their family, any pictures or discussion that arises from this are shared with the group. Included within each child's book bag is a book review form for parents/carers to add their comments and share with us whether their child liked the book. There is also a literacy board in the foyer to let parents know our "Book of the month". A story time during the session gives them the opportunity to view 'story sacks' which accompany stories and are full of visual prompts to help stimulate the child's interest further and maintain their attention. By means of adult-supported practical experience, children become familiar with sorting, matching, ordering, sequencing and counting activities which form the basis for early mathematics. As they use their developing mathematical understanding to solve practical problems children are assisted to learn and use the vocabulary of mathematics, identifying objects by shape, position, size, volume and number. 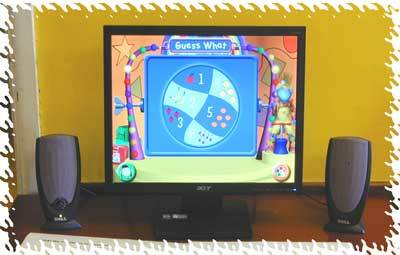 Songs, games and picture books help children become aware of number sequences and, when they are ready, to use simple mathematical operations such as adding and subtraction. A safe and stimulating environment allows children to explore and experiment with a range of natural and manufactured materials. They learn to observe the features of objects and substances recognising differences, patterns and similarities, and to share and record their findings. Children are assisted in exploring and understanding their environment, both within the group and also in a wider community. Visitors from the local community such as the Police, and Fire brigade and trips to the local library help enrich their learning and provide them with a sense of belonging within their community, family and pre-school group. This area of learning forms the basis for later education in Science, Geography, History and I.C.T. 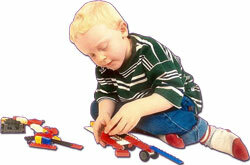 A range of safe and well maintained equipment allows children to extend technological understanding using simple tools and techniques as appropriate to achieve their intentions and to solve problems. Here at Clever Clogs we have a large spacious Hall and an outside play area, which offers the children the wide learning experience of both an outdoor and indoor environment. Children's curiosity and need to explore are supported. They are encouraged to express themselves and share their thoughts through art, music, movement and role play. The setting offers access to different media and materials allowing children to extend their knowledge of shape, colour and texture, exploring them through their senses. 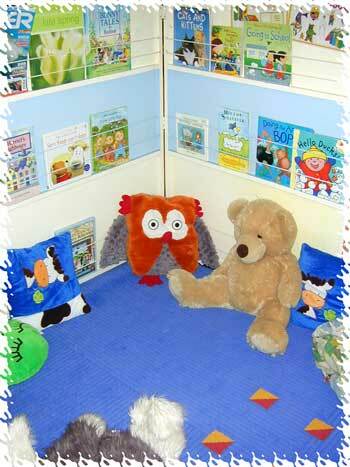 A safe and stimulating environment allows children to explore. We assess how children develop during their time at Clever Clogs by observing them both formally and informally. It is from the information gained from this process, that we can plan how to help your child develop further, and understand how they learn best individually. We recognise the invaluable input of the parent/carer and will ask you to contribute by sharinginformation about your child in their home environment in order to give us a rounded oversight of your child's needs and abilities. Your child's key person will work with you recording their achievements and planning future progress.